Man, I have been slacking lately! Has it really been over a month since my latest post? I am having a writer's block. I have several draft posts pending. They are populated with the photos. All I need is the words. But that's the problem. The words. I don't know what to write and don't feel like writing. Today I saw a post on The Kitchn on a new cookbook, Plum. The few pictures there look so yummy and makes me want to eat and take pictures and heck, I remember I haven't blogged for a while (do you follow the train of thought there? :)). So here is a new post - sort of. 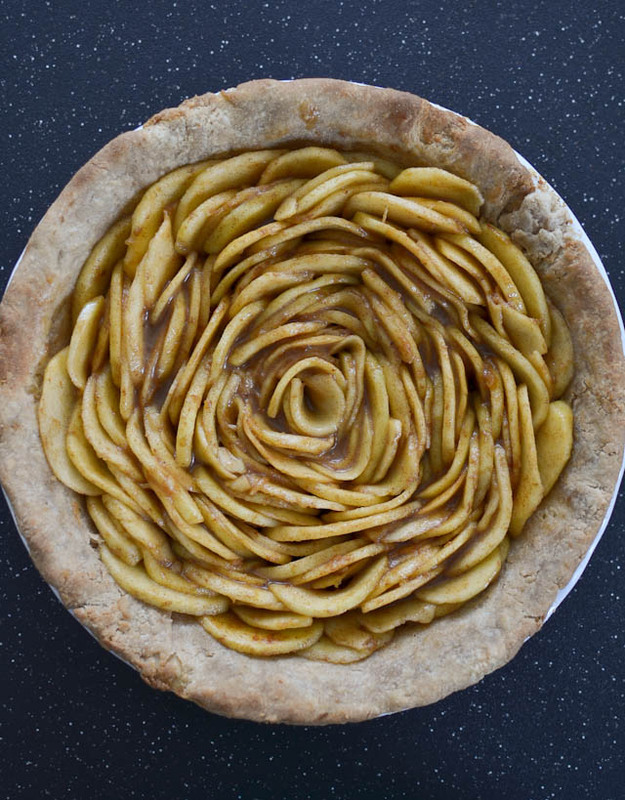 I made this yummy pie back in February (!) for a potluck at a friend's house. The recipe is from The Pie & Pastry Bible by Rose Levy Beranbaum. I bake a lot from Rose's recipes. Her books are my go-to recipe. Not because they are easy. In fact, Rose's recipes usually requires extra step, more time, and more dishes - sometime of them produce a lot of dishes. I go to Rose because her recipes are stellar in taste and very detailed in instruction. 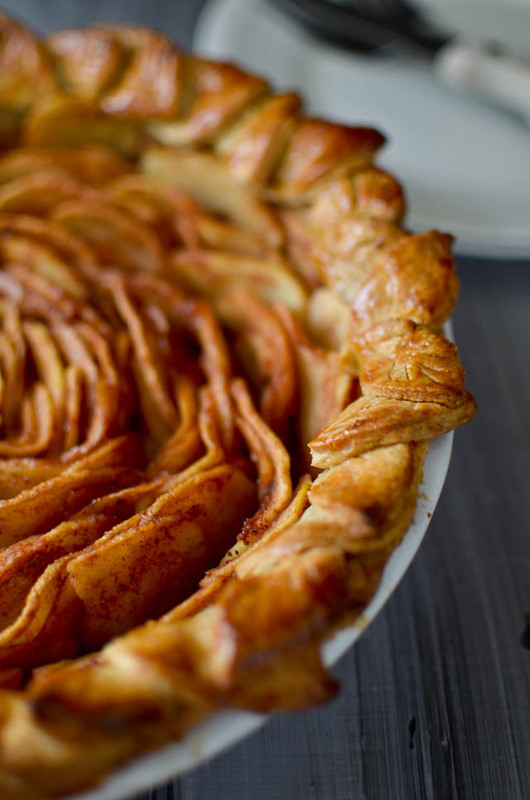 This pie calls for using a special crust called Flaky Cream Cheese Pie Crust. It uses both cream cheese and butter and results in a very flaky and tasty dough. 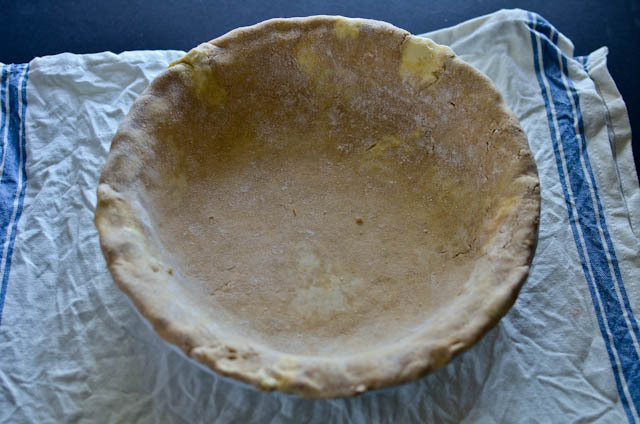 I have made this pie crust so often that I am confident enough to do some shortcuts and modifications along the way. Such as just mixing all the ingredients by hands. Not in a plastic bag. I know Rose will frown on this. She has a reason for suggesting to mix the ingredients by hand. I also took out the cider vinegar from the recipe. It only uses 2 teaspoon and I don't use cider vinegar, so in the past I'd buy a whole bottle to use 2 teaspoon and the rest will just sit in the pantry until it expires. So no cider vinegar. And honestly, I'm not sure what the cider vinegar does to the pie dough, but I like the taste of the crust better without the vinegar. After the dough is draped and formed around the pie plate, refrigerate it for an hour or so to firm it up. I usually throw it in the freezer for about 1/2 hour. Leaf cutouts. 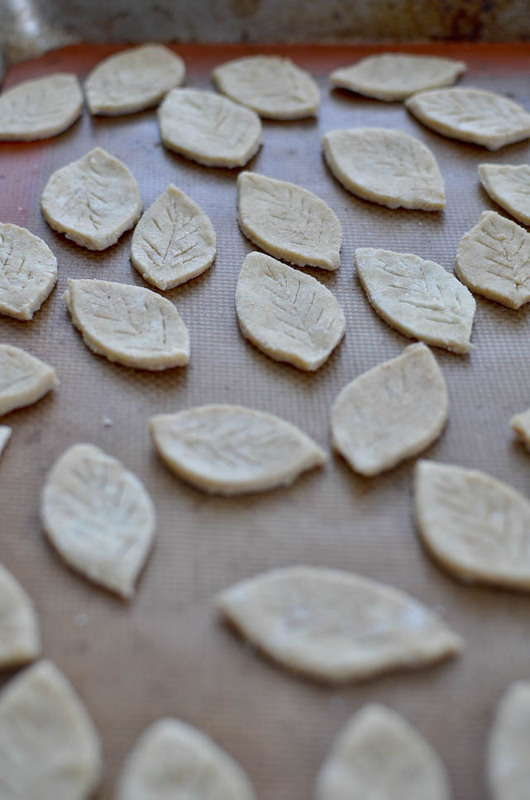 I do have some leaf cookie cutters but they are smaller and I don't like the shape so I prefer to hand cut them. 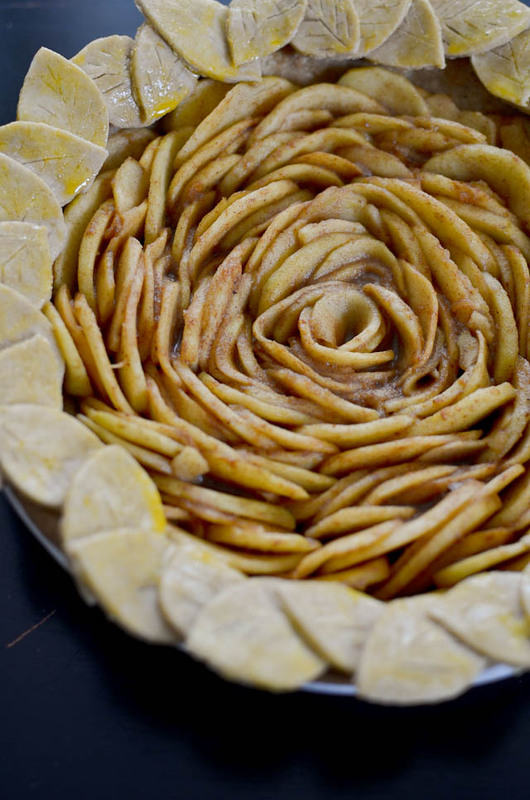 Sliced and macerated apples arranged nicely into the pie. This part takes a while to do. I tried to get every slice in and wedge some in. It looks pretty full right now but they will shrink up after baking. 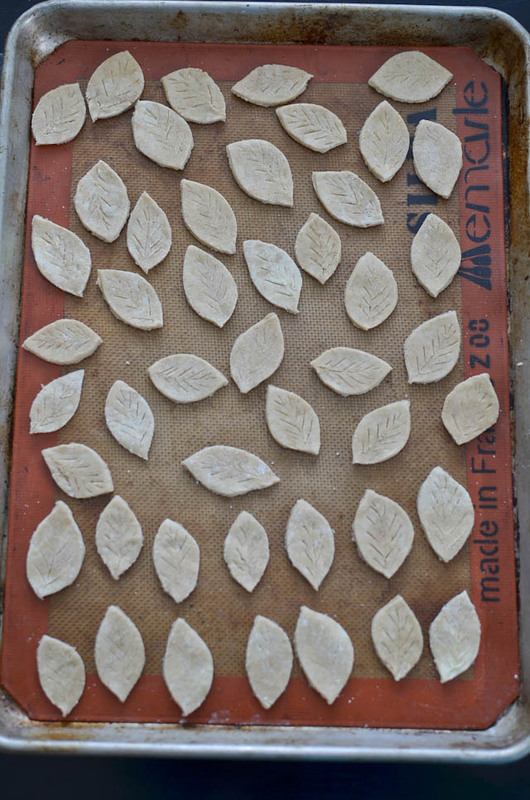 Attach the leaf cutouts with eggwash. 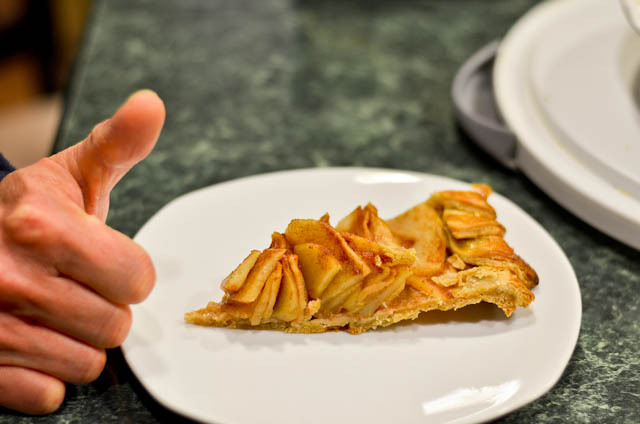 My friends loved the pie and gave a thumb's up! 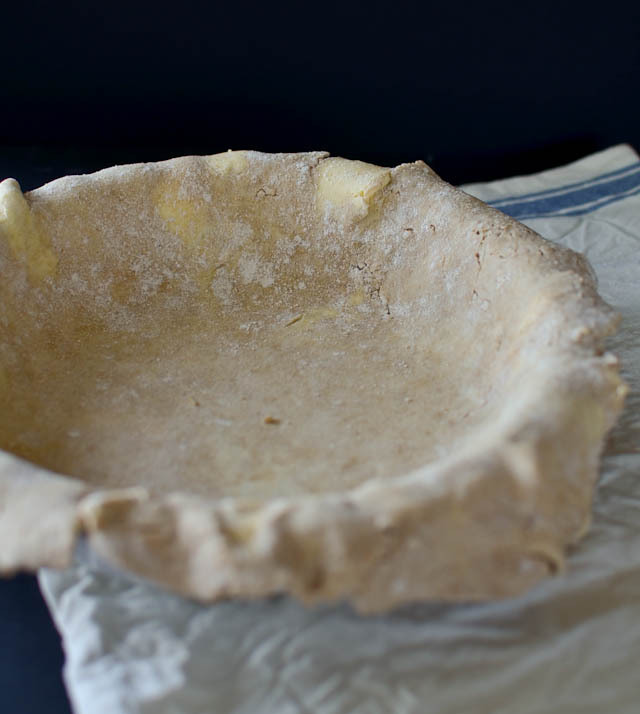 You can find the crust recipe on Rose's blog (pdf format and web format). 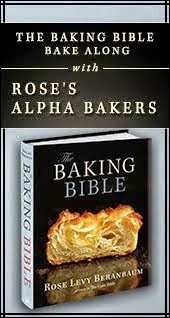 For the pie recipe, you can find it in The Pie and Pastry Bible. Hey Jenn... if you stock vodka in your freezer (does not everyone?) you can replace the cider vinegar with the vodka.. this tip comes from cook's illustrated "Since water bonds with flour to form gluten, too much of it makes a crust tough. But rolling out dry dough is difficult. For a pie dough recipe that baked up tender and flaky and rolled out easily every time, we found a magic ingredient: vodka. 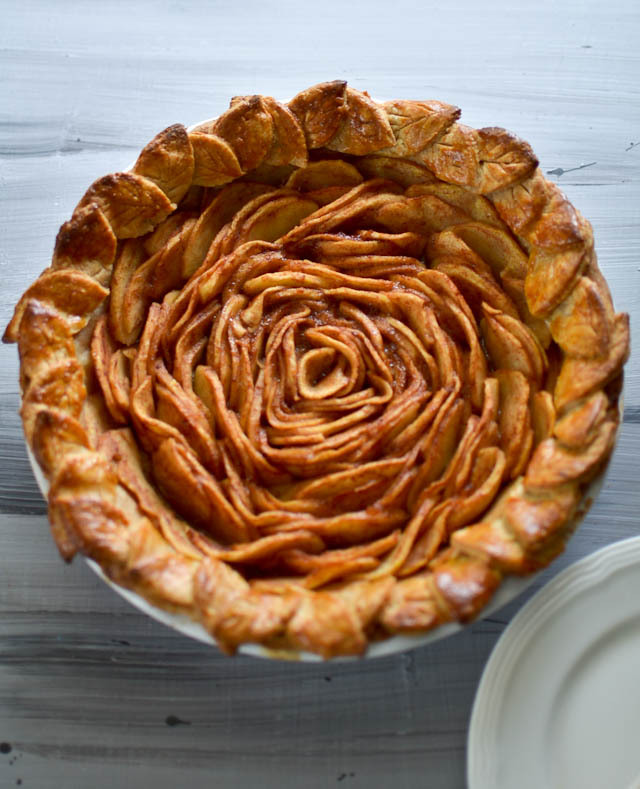 Using vodka, which is just 60 percent water, gave us an easy-to-roll crust recipe with less gluten and no alcohol flavor, since the alcohol vaporizes in the oven." What a beautiful pie. 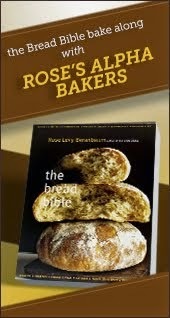 I love Rose Levy's Beranbaum's recipe Her recipes always result in delicious creations. Thanks for sharing. Welcome back, Jenn. I missed you and your gorgeous baked creations. 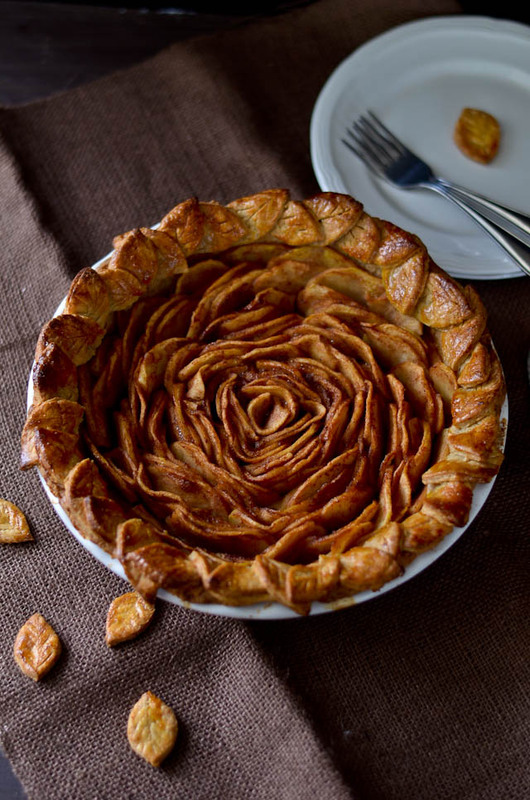 This apple pie looks absolutely stunning. I have no doubt it tastes great, because all of Rose's recipes do. Hi, what pan size you are using ? 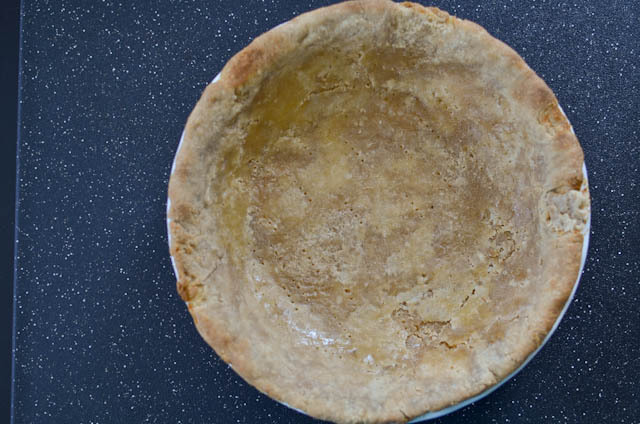 and for the pie crust how long to bake and what temperature? Thank you for all your time. Hey Alice. I am not a big pie fan but this is one that I keep making. So if you like pies I think you will love it. Pie & Pastry Bible is a great book. It's definitely worth the investment.